Steve Garrett was born in London and after a working lifetime as an Earth Scientist travelling across the UK, Antarctica and North America, now calls Scotland home. His new album of solo electric guitar music, Discover and Endure is “inspired by stories and experience of landscape, exploration and human endurance”. 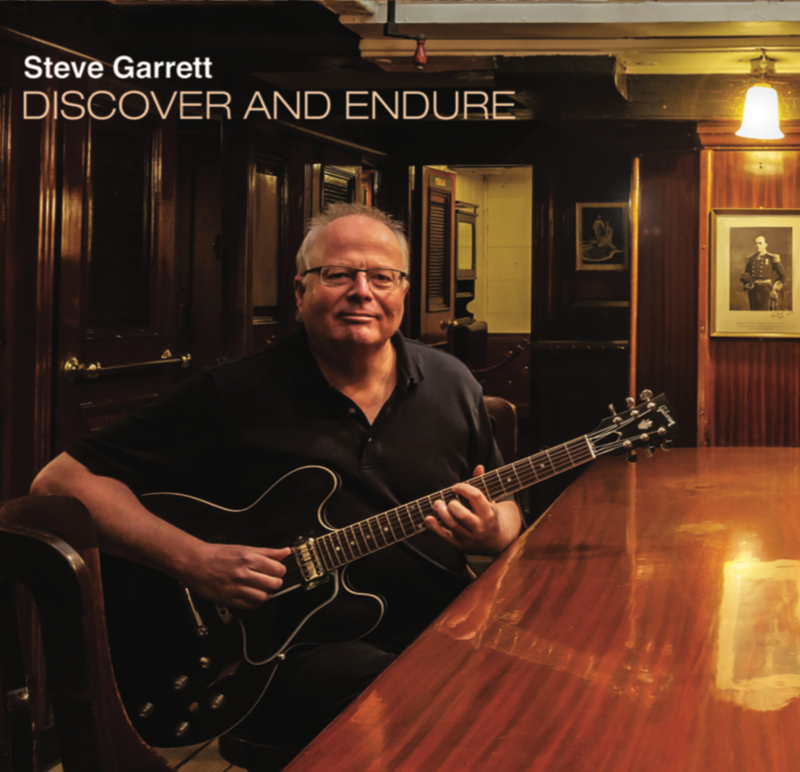 The first and title track, Discover and Endure, is inspired by the RRS Discovery expedition of 1901-04. A slow steady beat mirrors the footsteps of the participants trudging on, hauling their sledges; different characters from the expedition feature over the footsteps. As Charles Turley (1914) wrote of the voyages of Captain Scott “for ninety-three days they had plodded over a vast snow-field and ...striven and endured to the limit of their powers”. Summer River is more melodic, with a subtle rhythmicity inspired by the sunlight shimmering over the waters of the River Dee on the edge of Cairngorms National Park. Lament for the Children is a piping tune from the piobaireachd* tradition, written by Padruig Mor MacCrimmon and dedicated to those who have endured the loss of a child. There is a distinct drone element throughout, with a slow lament over the top. Midwinter Gathering reflects the Southern Polar tradition of a celebration mirroring Christmas and Hogmanay in the northern hemisphere. The tune is a reel with a background loop representing the “lively and slightly chaotic footfall of ceilidh dancers” - no doubt getting progressively more chaotic as the time progresses! Gustav Holst’s Egdon Heath (at over nine minutes the longest track on the CD) caught Garrett’s attention at an early age in primary school. In this piece, Garret employs a variety of styles and evokes the Dorset heathland, where he has previously lived and worked. Lassie Lie Near Me (words by Robert Burns) is a folk song set over a minimalist pattern. Cliff Top Storm reflects Garrett’s (and no doubt others’) experience of getting caught out when camping in extreme conditions (in this case in Goosenecks State Park in Utah). The piece is a series of variations on a theme over a desert drum beat. The explorers end up in Black Sail Hut – perhaps familiar to some as a rather isolated Youth Hostel in Ennerdale in the Lake District. The CD reflects the previous musical influences and experience of the performer with elements of jazz, folk, rock, and choral music – all of which feature one way or another in Garrett’s portfolio. The “jazz” element is perhaps limited (but definitely there) and eclipsed by the “folk” element. Ultimately though, what is delivered is all music reflecting the flexibility and capability of the guitar as an instrument. This is a good product and professionally delivered by the artist. The CD was launched on April 5 at RSS Discovery, Dundee, and is available from Birnam and Amazon; downloads are available from the usual sources and the album can be streamed from Spotify or Apple Music. Steve Garrett will be giving lunchtime performances at artSpace@StMarks (Fringe Venue 215) as part of the 2019 Edinburgh Fringe Festival.